The Rosary will be recited at 5 PM followed by a time of sharing. 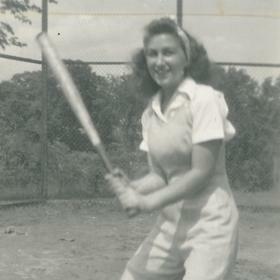 Optimistic, loving, and generous, Dorothy Talanda lived a life rich in family and faith.  With an unwavering belief that her faith would carry her through life’s trials and tribulations, Dorothy embraced each day with both a firm resolve and a sense of humor. A devoted wife, mother, and grandmother, Dorothy cherished her family whom she dedicated each of her days to caring for. An inspiration to all, Dorothy will be deeply missed by many. 1925 proved especially a prosperous year with the advent of many remarkable landmarks like the dedication of Mount Rushmore and the opening of the first Sears Roebuck store. 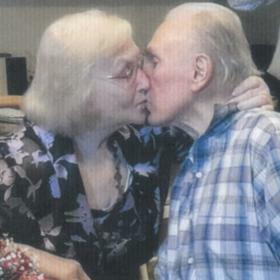 It was the year Frank and Cecilia Stender welcomed their youngest child, Dorothy Marie into their hearts and home. Growing up on Gibson Street, during the late 20s and 30s, Dorothy learned the value and necessity of hard work, faith, and community from both her family and neighborhood. 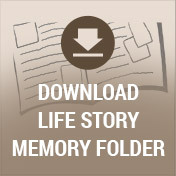 While her father worked as a tool and die maker, Dorothy’s mother ran the household. Additionally, her mother was an amazing artist and seamstress who were both resourceful and creative. The eclectic-immigrant neighborhood bustled with families of many different backgrounds and traditions and this beautiful diversity created a powerful influence on Dorothy’s life. 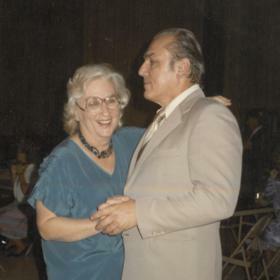 Dorothy adored her father and enjoyed the comforts of a tight-knit family that truly enjoyed each other’s good company. The family centered faith was practiced and celebrated with the fellowship at St. Joseph Catholic Church. Naturally intelligent, Dorothy possessed a robust thirst and eagerness for knowledge. She started first grade at the age of four and graduated from St. Augustine High School at the age of 16. WWII played an enormous part in Dorothy’s youth. With her brother and many of the neighborhood men off to fight the war, Dorothy’s awareness lead to a strong sense of responsibility. With a firm commitment to do her part, she poured her energies into organizing a neighborhood newsletter giving vital information to all and supporting neighboring servicemen with letters and packages from home. It’s no wonder that Dorothy received a scholarship to attend Nazareth College where she studied to be a teacher with majors in language, English, and theology. She later became a teacher there. While studying at Nazareth Dorothy and Edmund Talanda began dating. They were married at St. Joseph Catholic Church on June 25, 1949, the anniversary of her parents' marriage. She and Edmund were blessed with four children while working tirelessly to fulfill Edmund’s dream of becoming a physician, and four more blessings were added to the family after he graduated. Their home, much like Dorothy’s childhood home, was centered on the strong traditions of their faith in Catholicism. Dorothy made sure that she provided her children with a breadth of knowledge and experience as they grew up. She exposed them to many cultures and the arts while holding high standards and expectations of each child. A natural educator, Dorothy understood that the best way to teach her children was through her own example. Dorothy embodied the principles of her faith; she loved unconditionally, practiced forgiveness and encouraged peace. Her efforts to live her faith in service of others was evident in her accomplishments. She was active at St. Augustine Church as a Eucharistic minister, organ player and cantor. 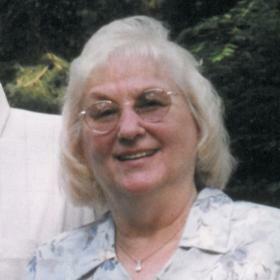 She was a strong supporter of Catholic education, and was one of the founding members of Kalamazoo Right to Life. Dorothy took an undauntable stand for her high ideals which lead to political involvement at local and state levels as she passionately spoke debated and lobbied for the life of the unborn and equality for all people. With a powerful intellect and a fierce sense of independence, Dorothy eagerly welcomed a good debate on any subject at any time, especially with her sisters. She was well versed in many subjects, knew how to masterfully support her assertions, and it seemed that she was always right. Though she could be honestly blunt at times, she also had a tremendous sense of humor, was compassionate and always quietly very generous. For those who knew her best, there was never any doubt in her authenticity. Without a doubt she had an intuitive sense of human nature which was evident in all her conversations she shared with those she loved. Some of her first memories were created at their honeymoon cottage on Gordneck Lake. Later named Camp Happy-land, as it was shared with extended family and became a hub of activity that was filled with life long memories. Dorothy’s heart’s delight was her children, and as they welcomed their own children and grandchildren, Dorothy’s joy grew beyond measure. Each of her 32 grandchildren can attest to the many ways Dorothy made sure they knew they each were special in their grandmother’s heart. To have the honor of welcoming 37 great-grandchildren to the world was a treasure Dorothy held dear. In each of their eyes, she could clearly see the best of her legacy and her greatest hopes for the future. The world is certainly duller in the absence of Dorothy’s steadfast spirit. May it afford deep comfort to know that Dorothy believed wholeheartedly that she’d had the best childhood, the best husband, the best family, and the best life. An eternal optimist, she lived and died in the confidence of her faith and often stated that she would not change a single thing in her life if she had to do it over. In so doing, Dorothy has shown us by example how to achieve happiness and peace in sharing our lives with others. Dorothy Marie (Stender) Talanda, age 92, of Kalamazoo passed away on Saturday evening, December 9, 2017, in the comfort of her home with her family by her side. Surviving members of her family include her husband Dr. Edmund Talanda, 8 Children: Kathleen (Thomas) Potts of Geneva IL, Michele (Michael) Kraft of Kalamazoo, Susan Talanda (Thomas Minehart) of Kalamazoo, Camille (John) Fath of Beverly Hills MI, Laraine (Mark) Goetting of Kalamazoo, Edmund (Katherine) Talanda of Kalamazoo, Jean (Matthew) Fisher of Kalamazoo and Annette (Jeff) Brennan of Kalamazoo , 32 grandchildren, 37 great-grandchildren and many nieces, nephews and other cousins. She was preceded in death by two brothers: Everett and Eugene Stender and two sisters: Helen Johnson and Frances Woodhams. Visit with family and friends while sharing food and refreshments on Thursday from 5-8 pm at the Betzler Life Story Funeral Home, 6080 Stadium Drive; Kalamazoo (269) 375-2900, where the Rosary will be recited at 5 pm that afternoon, followed by a time of sharing. Mass of Christian Burial will be celebrated at 10 am Friday at St. Augustine Cathedral, 542 W Michigan Ave. Burial will follow at Mt. Olivet Cemetery. 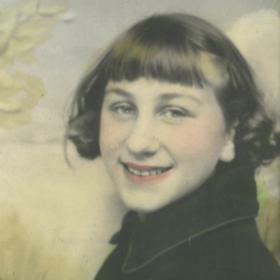 Please visit Dorothy’s personal web page at www.BetzlerFuneralHome.com, where you can archive a favorite memory or photo and sign her online guestbook before coming to the funeral home. Memorial donations may be made to Kalamazoo Right to Life or to Hackett Catholic Prep.